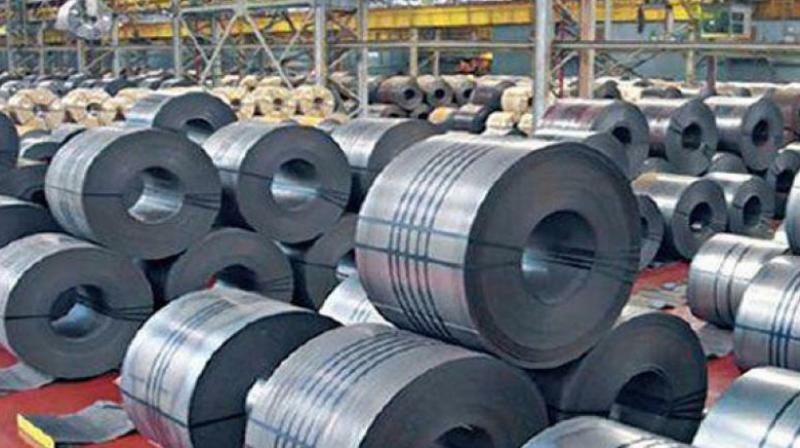 India's finished steel exports fell by 34 per cent in 2018-19 to 6.36 million tonnes, according to preliminary government data. During 2018-19, finished steel imports rose 4.7 per cent to 7.84 million tonnes. New Delhi: India was a net importer of steel during the 2018/19 fiscal year, the first time in three years, as the country lost market share among its traditional steel buyers and imports jumped on demand for higher-quality steel domestically. The country’s finished steel exports fell by 34 per cent in the fiscal year that ended in March to 6.36 million tonnes, according to preliminary government data given to Reuters on Friday. During the same period, finished steel imports rose 4.7 per cent to 7.84 million tonnes. Imports of value-added steel, primarily for the auto sector and high-end electrical steel were the biggest source of imports, the source said. “The imports for producing value-added steel for the auto sector is mainly by foreign steelmakers like POSCO,” the source said, declining to be identified as he was not authorised to speak to the media. India’s Ministry of Steel has urged local automakers to cut Japanese and South Korean imports to support domestic producers but the automakers say they cannot get the quality of steel they need locally. Indian steel companies have also sought imposition of higher duties on imports. The steel ministry did not immediately reply to an emailed request for a comment on the import and export data. While the government data did not specify stainless steel import levels, industry participants have noted overseas supply has climbed. “There is a surge in imports of stainless steel flat products from Indonesia, which used to be less than 1,000 tonnes a month until last year, has now surged to a level of 10,000 to 11,000 tonnes a month during April to March,” said K.K. Pahuja, president of the Indian Stainless Steel Development Association, a not for profit body. Stainless steel producers in India contend that China is shipping product through Indonesia to circumvent an additional import tax that India levied in 2017. “The trend shows a decline in imports from China but increased imports from ASEAN countries, indicating the circumvention phenomena in the existing countervailing duty,” said Abhyuday Jindal, managing director of Jindal Stainless, India’s largest stainless steel producer.